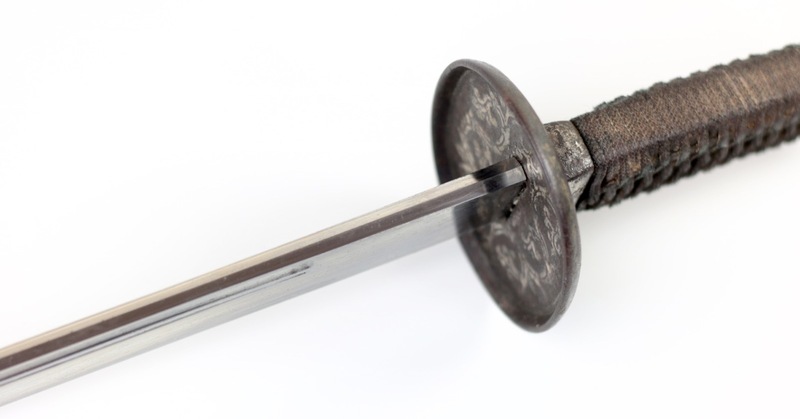 Home » Chinese saber with "naginata-hi"
Materials: Iron, steel, silver, wood. 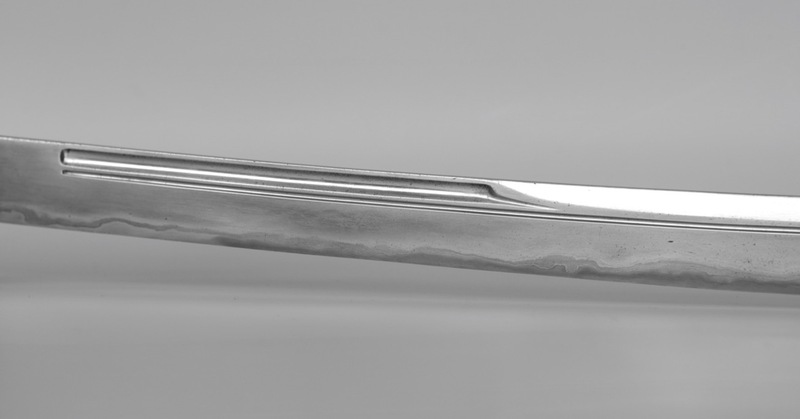 A Chinese waist saber or yaodao / peidao of the first half of the 18th century. It has a superb blade in perfect condition and now in full-polish: No pitting, no nicks, edges and bevels crisp and clear. No signs of over polishing, tip intact. Only some very minor chips in the edge. The precision of the grooves and ridges is as good as the better Japanese work. 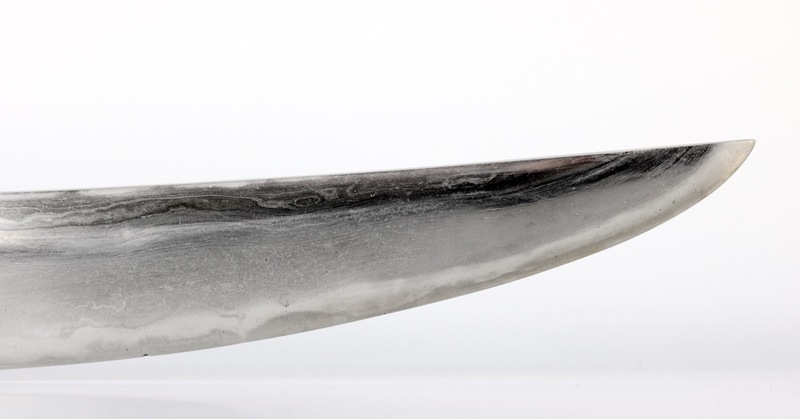 The blade exhibits a forge folded construction with a high-carbon edge plate sandwiched between layers of milder iron and steel. 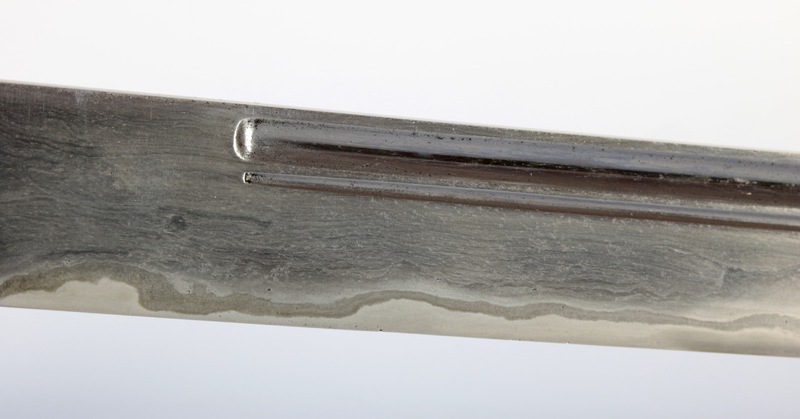 The blade also exhibits a pronounced shuangxue , the cloudy effect near the edge that is caused by the differential heat-treatment of the steel. In its original iron mounts of substantial thickness, entirely with silver overlay except the inside of the guard which is decorated with elegant acanthus leaf designs in silver on a black iron background. At the bottom of the leafs are three peaks, representing mountains, a common motif also found on Chinese imperial robes. 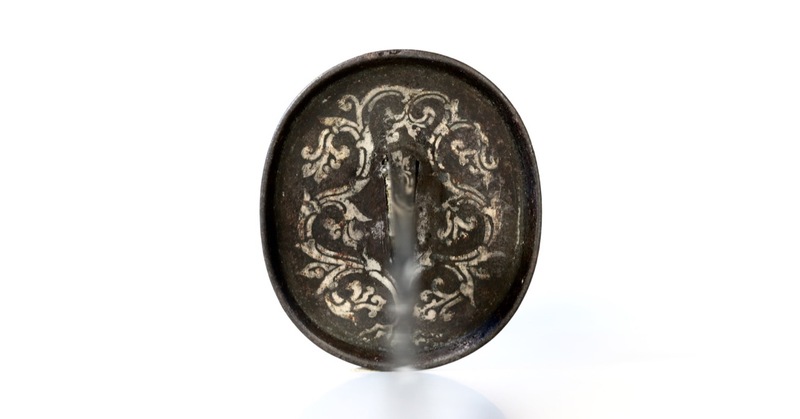 The decoration represents the elegant aesthetics of the earlier Qing. 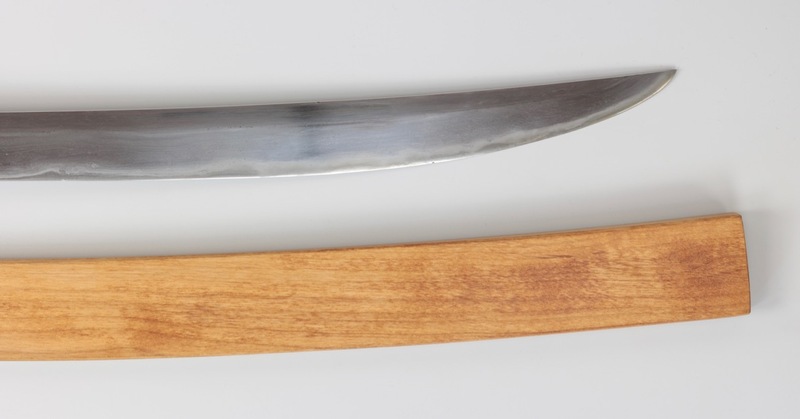 The blade has a dorsal groove running around one-third up the blade, making way there for a long back bevel. Under that a longer, narrower groove. 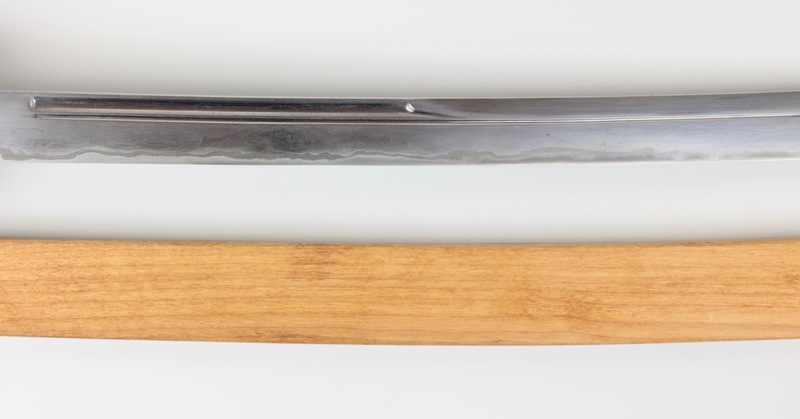 Such a configuration of grooves, up to the peaked end of the shorter groove, is well-known to the Japanese who refer to it as naginata-hi , named after the Japanese naginata , a pole-arm with single edged blade that is almost exclusively made with this groove combination. 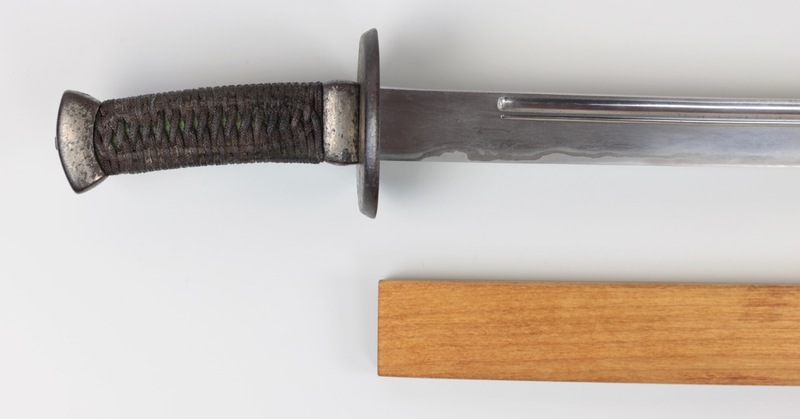 The configuration is also sometimes found on daggers tanto and swords, katana . 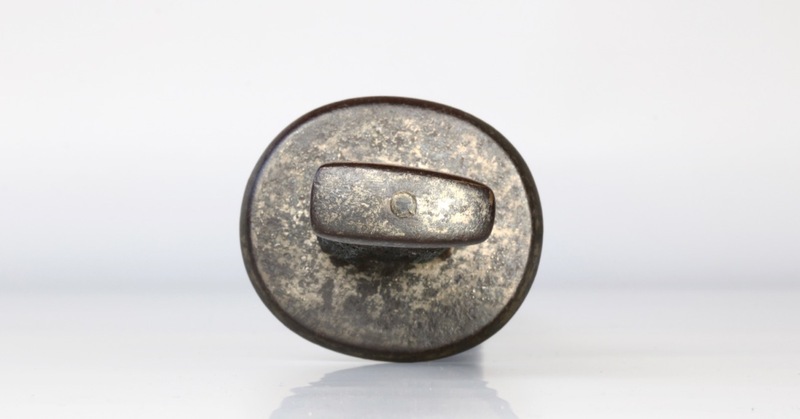 The style can be traced back all the way to the 8th century Kogarasu Maru (小烏丸) or "little crow", now held in the Japanese Imperial Collection at Shōsōin . 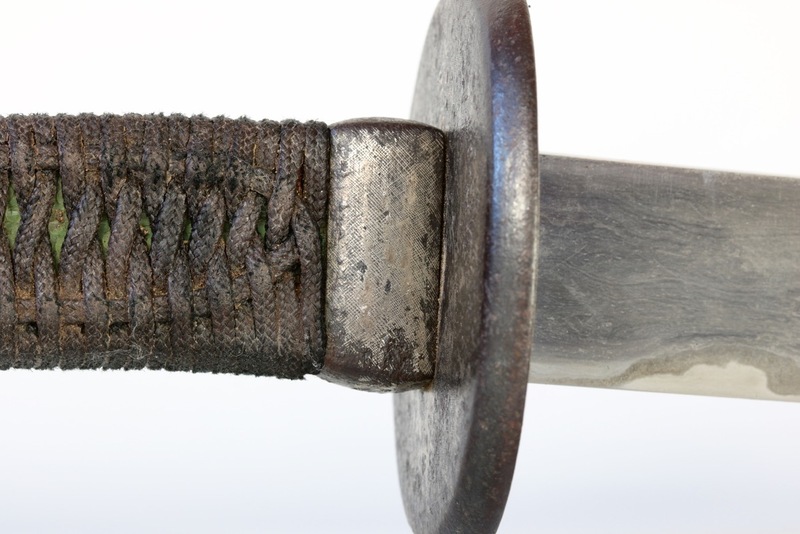 It shows a groove configuration very close to what would later become known as the naginata-hi . 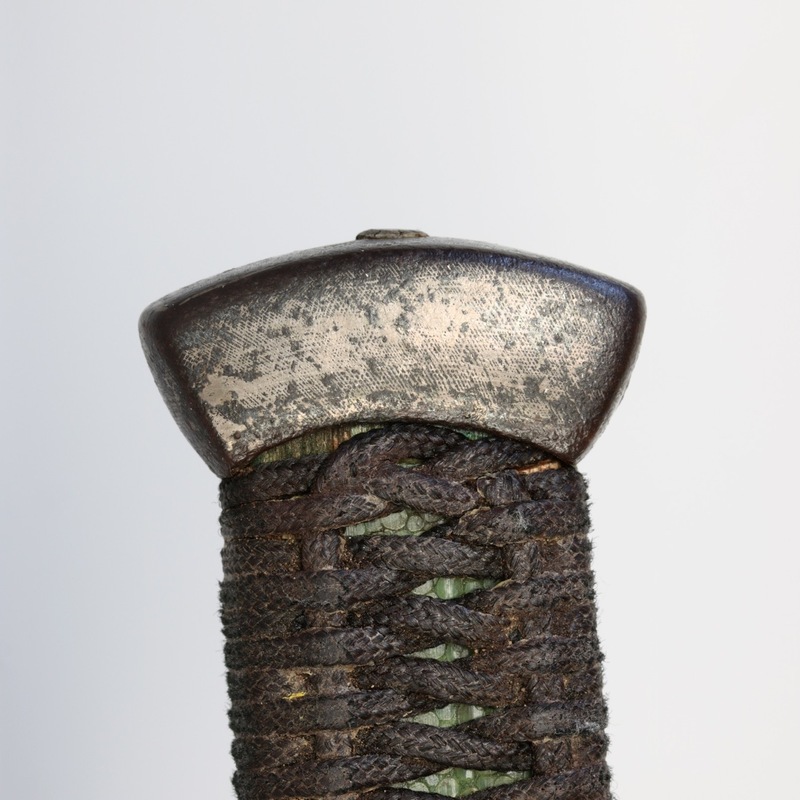 A difference with the later naginata and Chinese sabers like the one presented here is that the Kogarasu Maru has a true double edged tip section leading to a double edged point whereas the others do retain the back bevel but this bevel is generally not sharp and their points are typical single edged saber points. 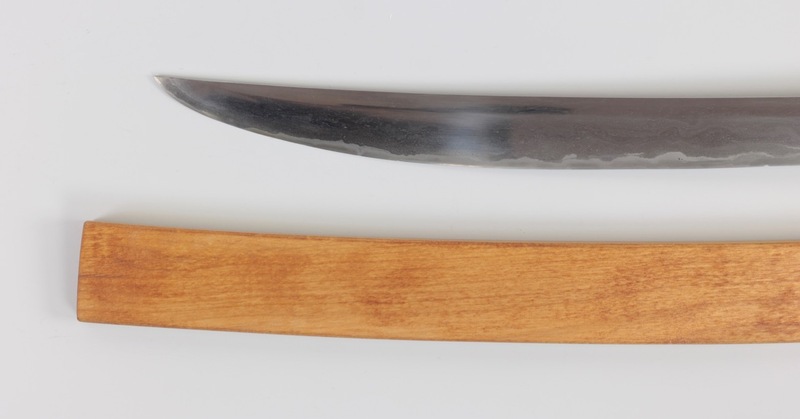 Some Japanese daggers with this groove configuration do retain their sharp backedge and double edged tip. 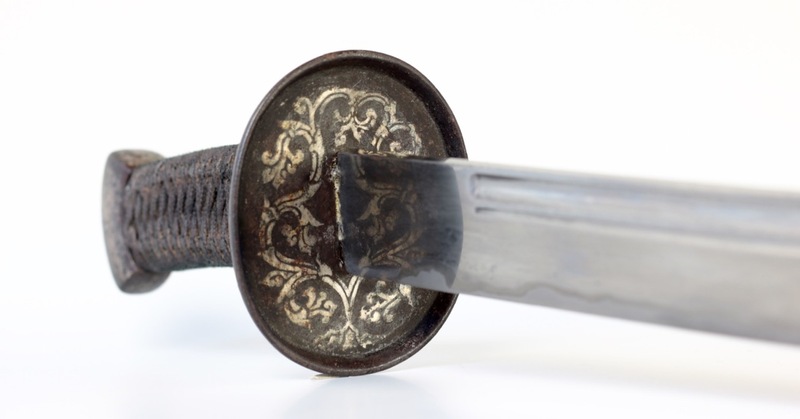 If the Kogarasu Maru was straight, the sword profile would be very close to some swords the Tang dynasty. Some think the fuller configuration may have been originally Chinese as well. 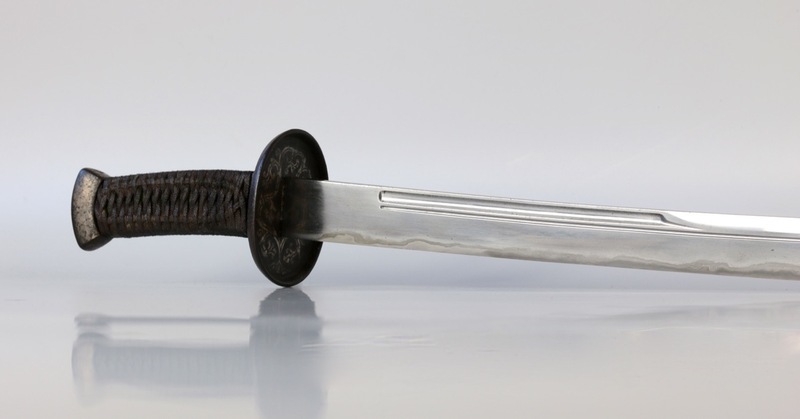 Legend has it that the sword was made by Amakuni Yasutsuna who lived around 700 A.D. Amakuni is thought to have been the first to give the Japanese sword its characteristic curvature by applying a differential heat treatment. 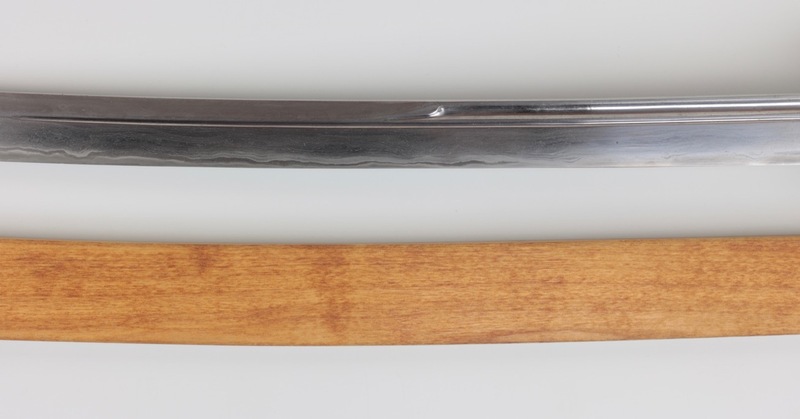 It may be that he applied this treatment on an otherwise regular Tang style sword, creating the Kogarasu Maru . 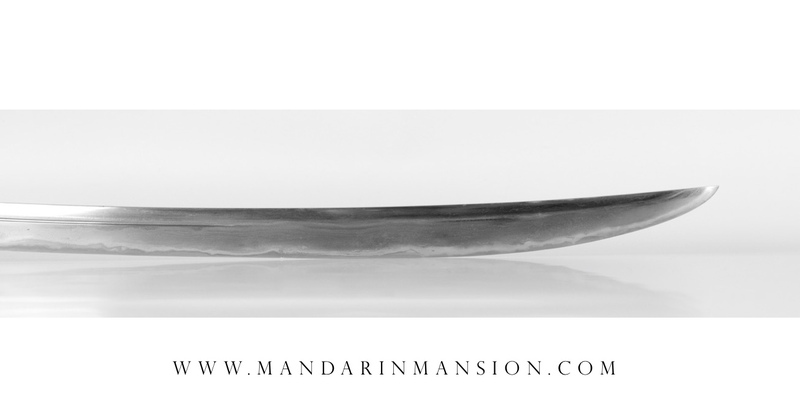 A Tang dynasty sword. Japanese Imperial Collection at Shōsōin . The original Kogarasu Maru of the 8th century. Japanese Imperial Collection. 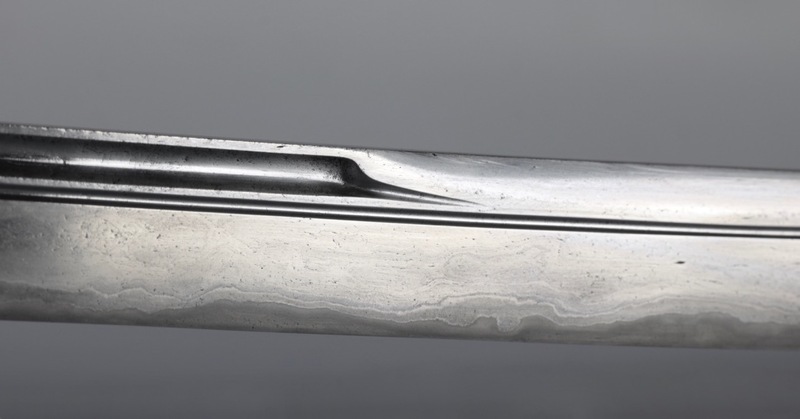 A saber from the Qing imperial collection, attributed to the Qianlong emperor. 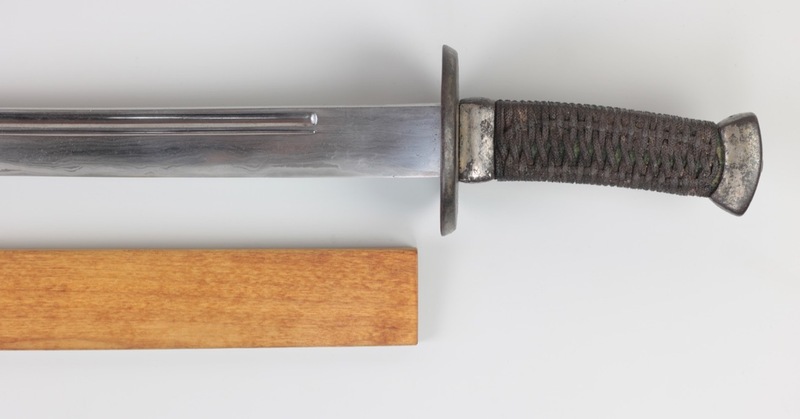 The sword that is subject of this article. Blade in full polish. Handle and wrap are renewed. Comes with a snugly fitting resting scabbard. 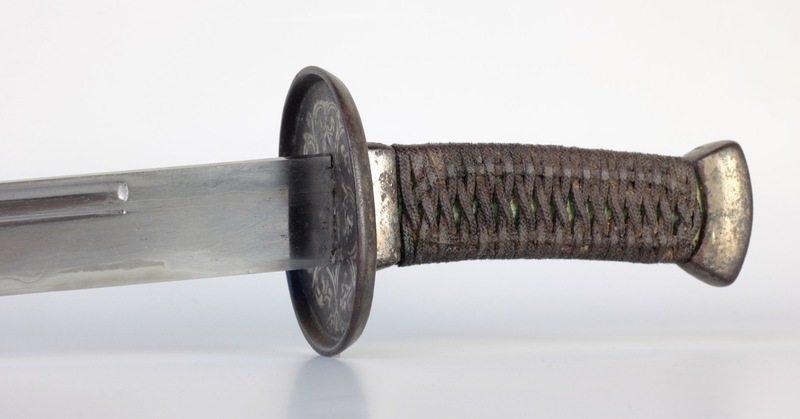 When it comes to blades, this is about as good as Chinese sabers get. The quality of forging and grinding is of the highest quality and the condition leaves nothing to be desired. 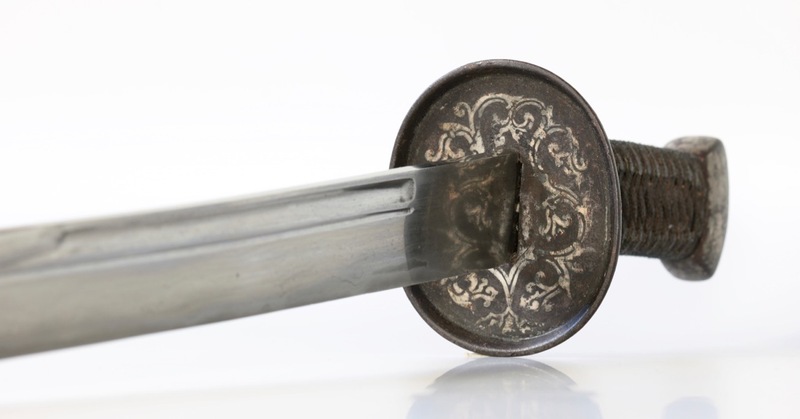 The blade decor exhibits a distinct style of grooves and bevels that originated at least a thousand years earlier.